Growing old gracefully is a wonderful thing, and a lot of aging rockers would do well to take the lead of people like Sting or Robert Plant when it comes to doing this. But seemingly almost giving up gracefully is another matter entirely. Rod Stewart helped set the standard for rock ‘n’ roll adrenaline back when the competition included people like Plant, Ian Gillan and others, mainly Brits. And a few years later, like it or not, he raised the bar with poppy disco and outlandish clothes. But for the better part of a decade now – because of the amazing business acumen of Clive Davis – Stewart has been recording standards by America’s great, mostly white pop writers of the ‘30s through the ‘60s. The concept, like Stewart, is getting pretty old. Fly Me To The Moon…The Great American Songbook Volume V features Stewart performing more classics from the masters of yestercentury, including Cole Porter, Johnny Mercer, Harold Arlen and others, many of whom aren’t household names as writers, but whose songs have been covered countless times. Produced by veteran Richard Perry (Ringo Starr, Manhattan Transfer), this album combines synthesized strings with real orchestral performances, and playing from some of the greats, including keyboardist Joe Sample of the Crusaders and L.A. jazz guitarist Larry Koontz. But even with top-notch players, this record just doesn’t swing the way that earlier versions of some of these songs by Frank Sinatra or Bobby Darin did. Not even close. Porter’s “I Get a Kick Out of You” is okay, with a nice arrangement even if the strings are obviously too synthy; “I’ve Got You Under My Skin” has a tasty bass intro; and Sample shows some wonderful piano chops on “Love Me or Leave Me.” But enough about the music; what about the singer? Well, Rod’s voice, from the opening note, is somewhat thin and lacking compared to the old Rod. The one place where he sounds a little like his old self is on “That Old Black Magic,” where he almost takes a chance with the melody towards the end of the song. Previous efforts in this series of classics – the first four of which have been released together in a box set – had a few famous friends drop by, like Stevie Wonder and Eric Clapton. But none of them are here for this one. This whole idea might be a little overdone for everybody by now. It’s hard to put down somebody who’s had a career for more than four decades, someone who has successfully adapted with the times and obviously has a lot of respect for great writers. 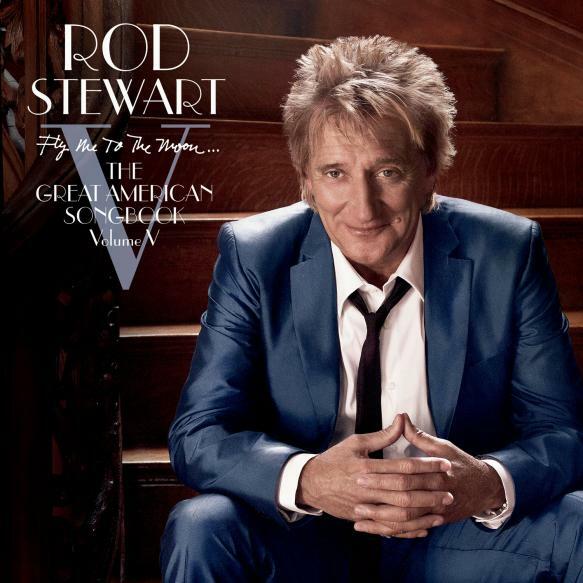 And Rod will no doubt do well with this album, selling mostly to people who survived their frat parties while listening to “Stay With Me” and are now grandparents driving Volvos with nice sound systems. But one can only hope that Rod takes a few more chances next time around, the way that his old buddies like Jeff Beck and Clapton are doing.